Way back when Joey and I were discussing color choices for a grandpa cardigan I was planning on knitting for him, we decided upon a bright shade of turquoise. I knew in the back of my mind that a bright, eye-searing turquoise might not be the best choice but I went for it anyways because I am always up for something fun and a little different. 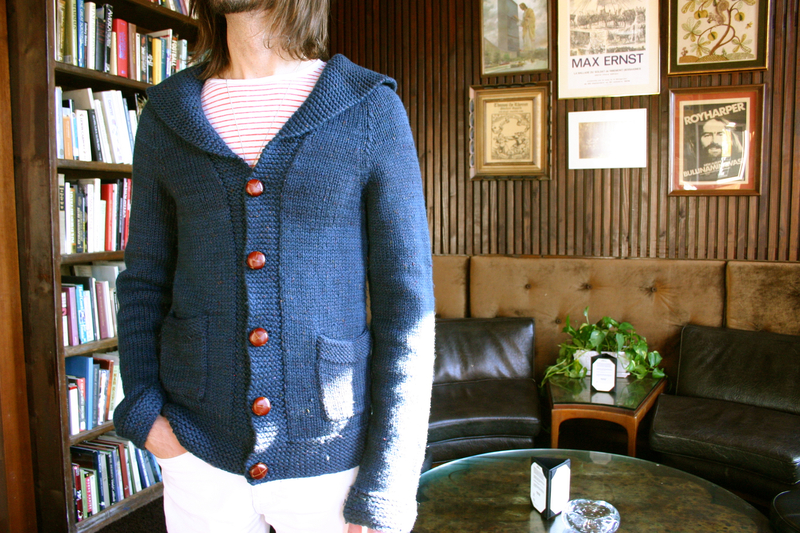 The cardigan, which I knitted using Jared Flood’s Smokin pattern, came out really great and Joey received lots of compliments on it. (I’m quite sure it was due to the eye-searing shade that it was noticed and commented on so often.) Flash to three years later and that sweater has migrated its way to the back of the closet specifically because of that eye-searing shade of turquoise that we were once so excited about. It was in retrospect, perhaps a little too turquoise. With thoughts of a more classic-looking grandpa cardigan in mind, I decided I would dye the sweater grey. 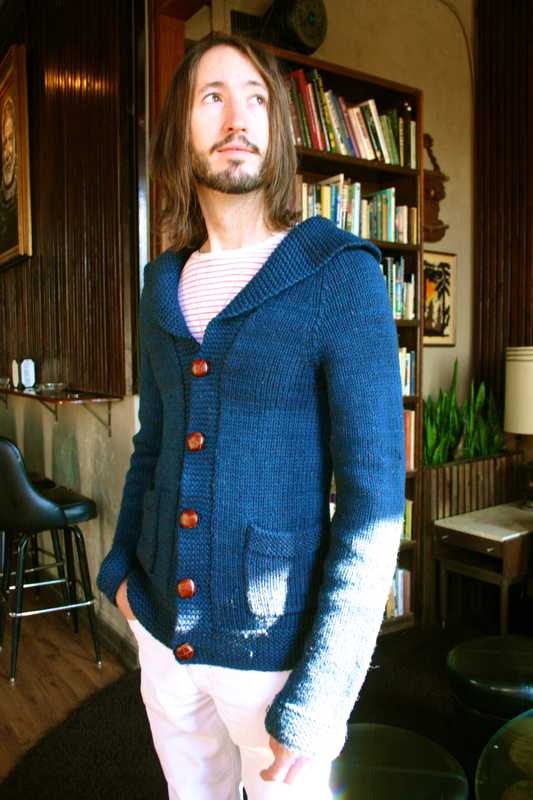 After a very long hour spent stirring a lumpy mass in a pool of dingy grey water in my kitchen sink, I discovered that using grey dye on an eye-searing shade of turquoise does not result in a classic grey cardigan, it only results in a somewhat dingy-looking turquoise cardigan. And so a second dye was attempted, this time using black dye which resulted in the very nice, classic-looking navy blue that you see here. And thus, the sweater has been saved from the depths of the closet as I can now see Joey wearing it much more often this winter. Also, I think I might need to go back and study my color theory a bit more because in all honesty I was expecting the sweater to come out black!